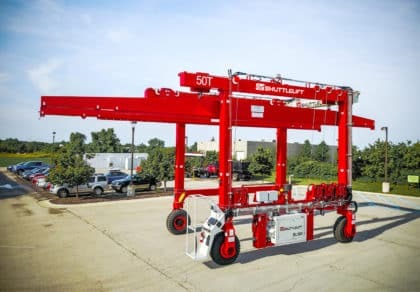 STURGEON BAY, WI – Shuttlelift has recently delivered a new Single Beam gantry crane with 50 ton capacity to Tri-Kon Precast Products. 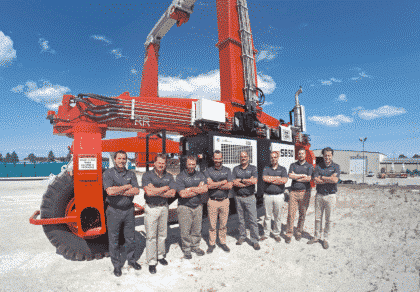 Tri-Kon is a leading manufacturer and supplier of quality precast concrete in western Canada. 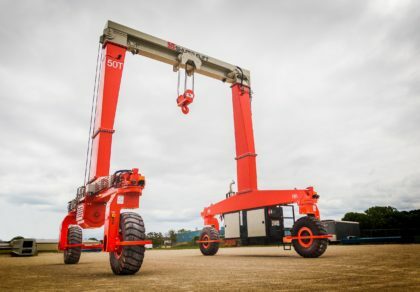 Tri-Kon needed a solution to simplify their lifting process and at the same time safely navigate the twelve percent grade that splits their yard into an upper and lower half. 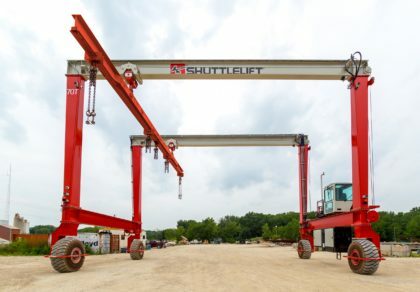 Their old process was very complex and required the hiring of outside sources to handle the product multiple times, so they turned to Shuttlelift’s engineering team for an innovative lifting solution. 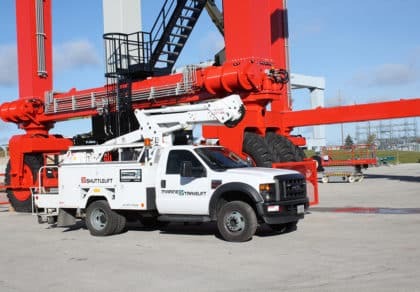 Shuttlelift worked closely with Tri-Kon and Kendrick Equipment, a certified Shuttlelift distributor servicing the Northwest region of North America, to understand all of the customer’s needs and concerns. 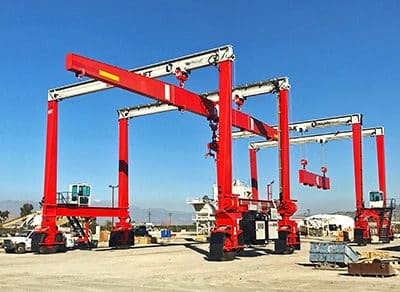 In the end, the 50 ton capacity Single Beam gantry crane, specially designed with more horse power, was the answer. 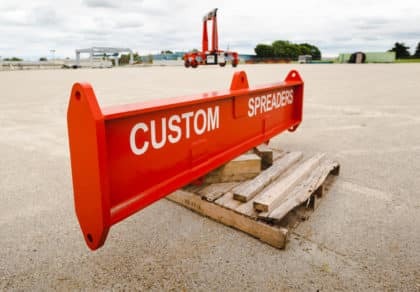 “The additional horse power, along with the Single Beam’s pivot trunnion, allows the customer to safely carry loads between the upper and lower levels of the yard” said Dave Marshall, Sales Manager at Kendrick Equipment. 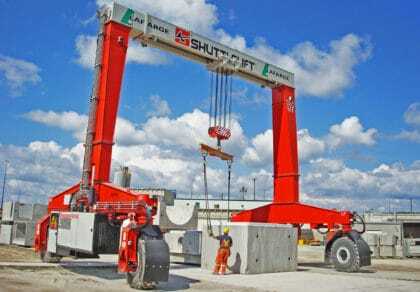 “The Shuttlelift gantry crane also cuts down on the time it takes to make each pick and load product”, added Marshall. 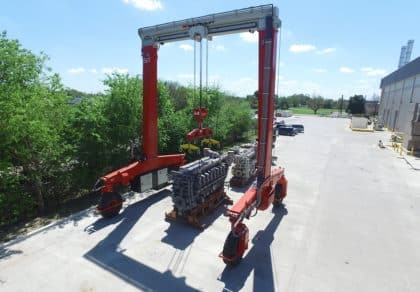 With the Single Beam crane Tri-Kon has experienced an increase in efficiency and product output, all while saving money by eliminating the cost of crane rentals. 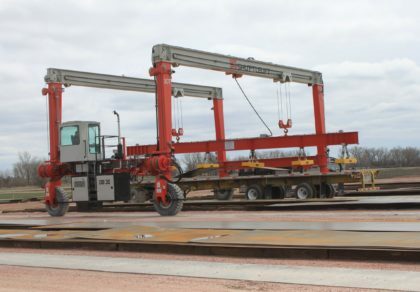 With an “all in one” type gantry crane they no longer have to rely on outside sources to do their lifting. 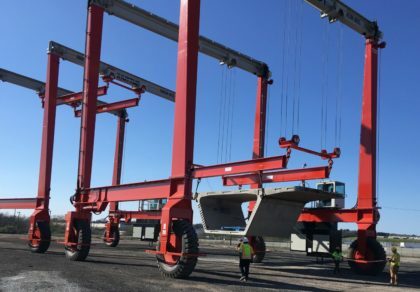 “The Shuttlelift gantry crane is performing above and beyond what we expected and not having to relying on outside sources for lifting has given us more control of our schedule”, said Chris Kostuik, Owner of Tri-Kon Precast Products. 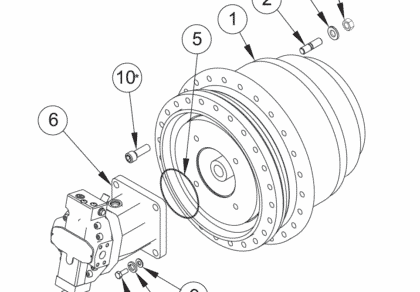 He also made note that, “the Single Beam has significantly cut down the amount of double handling needed, which saves time and money”. 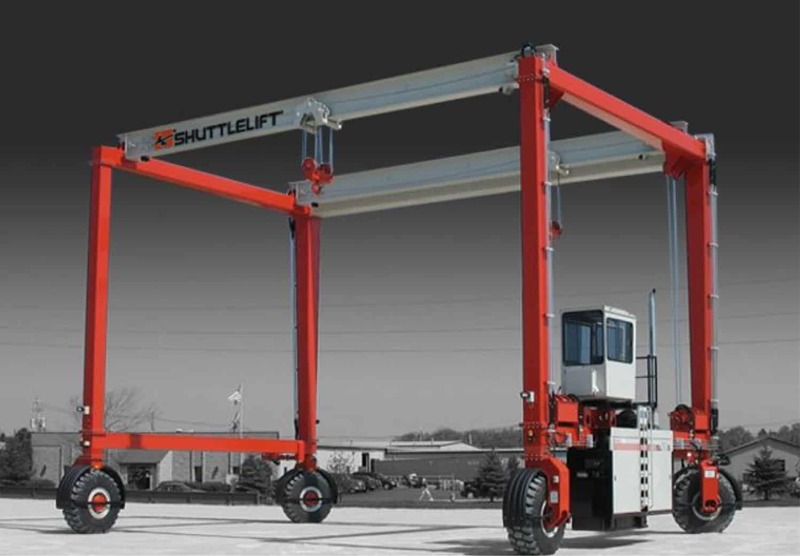 Another benefit is the wireless remote control, which comes standard on all Shuttlelift Single Beam series gantry cranes. 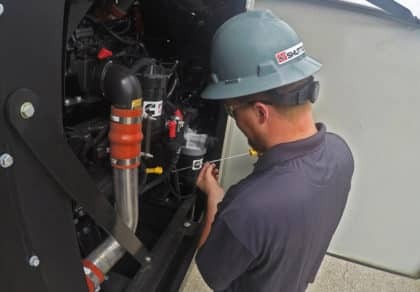 This feature allows the operator to be outside the cab when operating the machine for better line of site. 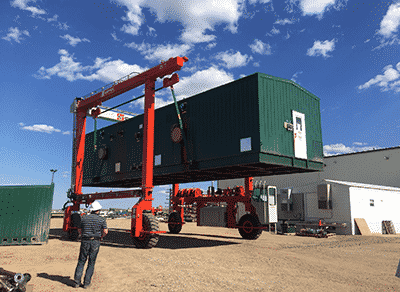 “With the wireless remote operators can become riggers as well, cutting down on personnel needed to make each pick and the ability to allocate those labor hours elsewhere”, said Dave Marshall. 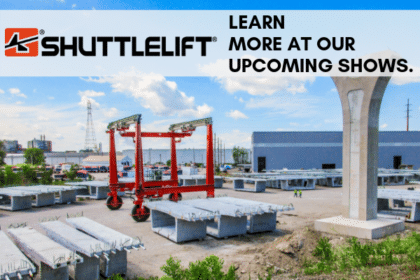 Tri-Kon’s partnership with Shuttlelift has provided them with the solution they need to take a step closer to reaching their goals and continuing to grow. 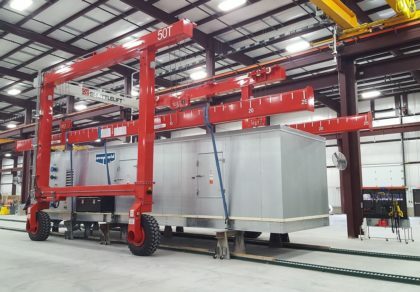 Throughout the project, Shuttlelift showed their dedication in making sure Tri-Kon got the right lifting solution for their specific application. 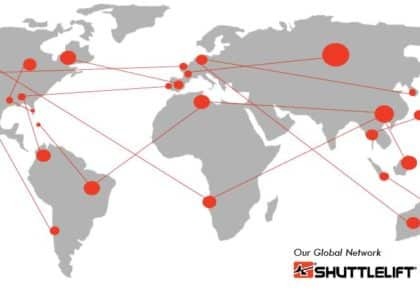 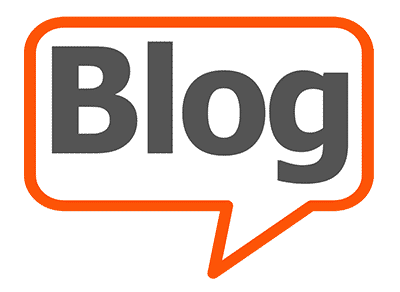 Tri-Kon looks forward to future growth with Shuttlelift as a partner.